Never before the surf breaks have been so crowded in the coldest, harshest month? Hence, the winter wetsuit market is booming? You can definitely see a rise in the number of surfers by the number of surf schools and surf camps booming in all the European coast. On top of that, the evolution of the neoprene has helped a lot of those newcomers to get motivated to surf in the winter time. 10 years ago, you had to choose between a stretchy wetsuit or a warm wetsuit, now we are giving both with all our Flashbomb series. More surfers and better products for winter conditions are filling up all lineups. 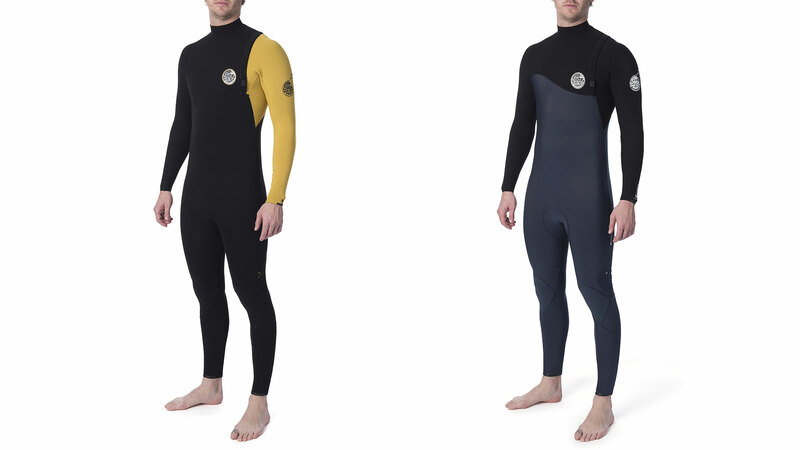 Wetsuits brands are multiplying, with many niche brands and D2C strategies. Is the ol’ wetsuit market segmentation at stake, for the better or the worse? Those D2C are all producing in the same factory with similar wetsuits and no innovations. Most of the big brands that don’t invest in their innovations will be at risk, being all dependent on that same source of innovations open to D2C brands. The low-end suits will be challenged, but all the high-end suits will differentiate easily with their innovation, for those who can innovate. Can you reveal your latest innovation for fall-winter 2019/20; e.g. rubber sourcing/tech, panelling, seams and closure system etc. Our ultimate segment capitalizes on our two main innovations released this winter. We doubled the sales from the Flashbomb Heatseeker segment and grew by 30% on our Ebomb Segment. The FLASHBOMB Heat Seeker introducing Flex Energy: our new Heat Generating Flash Lining. – Flex Energy: A revolutionary lining that creates heat when stretched. As you move through the water, the Flex Energy lining will activate and heat your wetsuit. Stay Active, Stay Warm. – Liquid Mesh: Superior stretch smooth mesh panels that absorb solar heat and reduce windshield. – Thermo Shield: Our new protection against the wind with the most durable smooth neoprene on strategic panels. – E5 FlashLining: Two engineered layers that funnel water rapidly out of the suit once it is hung. The warmest and most comfortable lining available. Our performance wetsuit for cold areas evolving this year using our E5 Flash lining both the most stretchy and warmest lining available and our best zip free pattern now with E6 Thermoflex allowing easy entry and exit while taking away the fuss, hassle, and bulkiness of the traditional chest zip. This is the wetsuit that Mick Fanning has been wearing on tour this year – The Ultimate super stretch wetsuit. The E Bomb zip free is inspired by high-performance surfing with the least restriction possible. This year we’ve introduced two innovations in one. All new super high stretch E6 Thermoflex performance neoprene that surpasses industry standards topped with our warm royal blue Thermoflex. Finally, our best zip free pattern allows easy entry and exit while taking away the fuss, hassle, and bulkiness of the traditional chest zip. Our New Dawn Patrol Range. – All those improvements at the same price as last year. It is still a big proportion of sales. No technical issues though with colours. It’s only about what those customers want, we are working more and more on subtle dark yardages, that are alternatives to black wetsuits without being too fancy. We are the only brand owning our own R&D centre, and have been at the forefront of those developments for a long time. We are investing a lot in our factory to upcycle as much as possible the falls from our wetsuit productions, and working on recycling our end products. Aside from that, we are also working on the neoprene substitution with our exclusive partners, stay tuned. We have a lot of projects going on, but we would like to keep them in our close safe for now.